This event is designed to provide our clients with demos, training, networking and hands-on experience utilizing a variety of state-of-the-industry tools and technologies without the travel and expense of a trade show or conference. The event includes breakfast munchies, a happy hour and barbecue, drawings, raffles, beverages and snacks – WITHOUT CHARGE to our clients and their invited guests from within the industry. 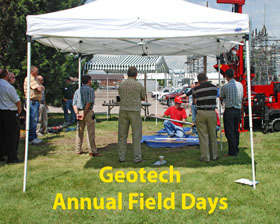 Geotech has teamed with highly esteemed industry leaders and manufacturers to present and demonstrate equipment, answer questions and showcase the latest technologies. Ion Science, Nielsen Field School, Oakton, Pace Laboratory, RAE Systems, SonTek, SWANA, YSI -- plus more! 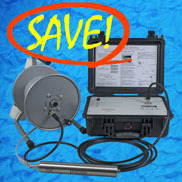 Field demonstrations include soil sampling technology, and we will feature three training rooms with hands-on sessions using the latest industry technology. 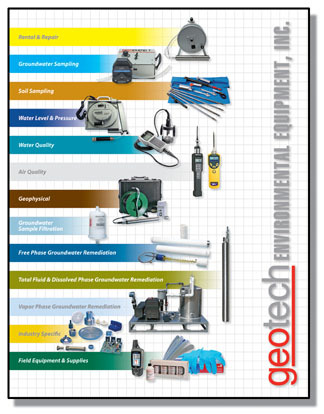 In addition, an open house exhibit featuring more than 20 booths, will showcase environmental solutions to your sampling, analytical, filtration, remediation and field supply needs. 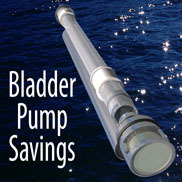 SS Geosub and all three Portable Bladder Pump sizes. 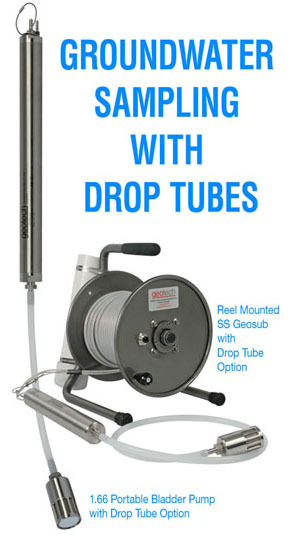 An optional drop tube can be used to sample from depths below the specified maximum sampling depth. The drop tube assembly connects a remote intake to the pump through a tube connected to the pump inlet. The intake depth can be any custom length of tubing. 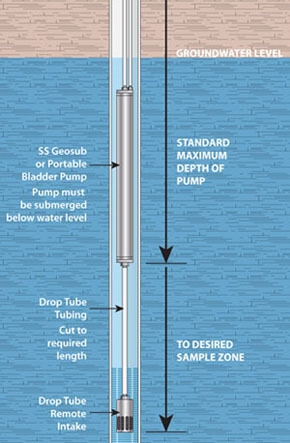 As long as the pump remains submerged, you can effectively and economically low flow sample from the well’s screened section. 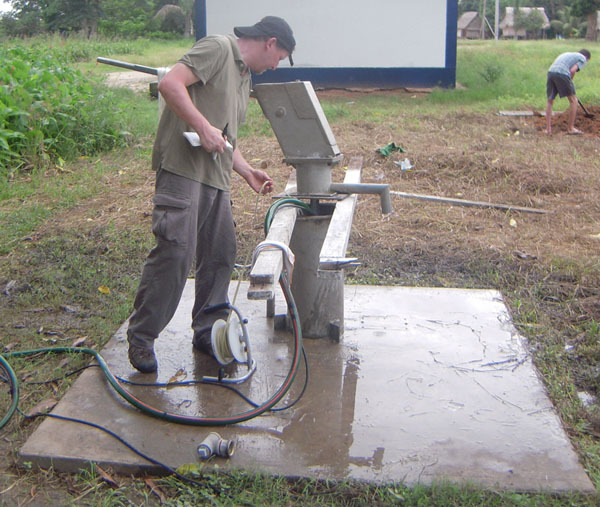 Steve Dielman (Engineers Without Borders) using a Geotech Water Level Meter loaned by Geotech while conducting a yield test for a new well in Santa Rosa de Dinamarca, Peru. 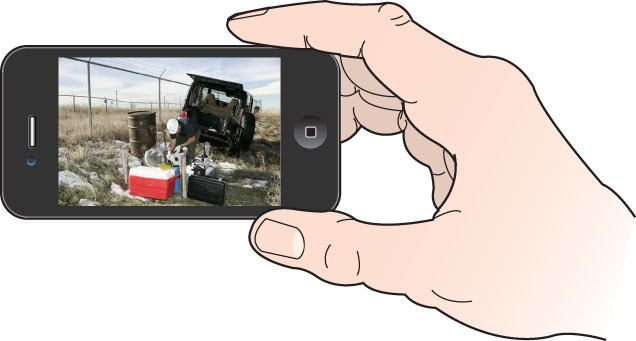 e coli and other contaminants that plague their shallow wells. Thanks in part to you, we also conducted a well yield analysis, which a CSU Senior project design team used to develop plans for a solar powered water distribution system that would put a tap within 50 m of every house in the main part of the village." 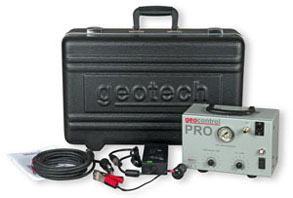 Geotech is pleased to announce the move of its North Carolina Sales and Service Center from Morrisville, North Carolina to Raleigh, North Carolina. The move to our new, larger facility is to be more centrally located to our customers. The center serves customers in the central Atlantic states. 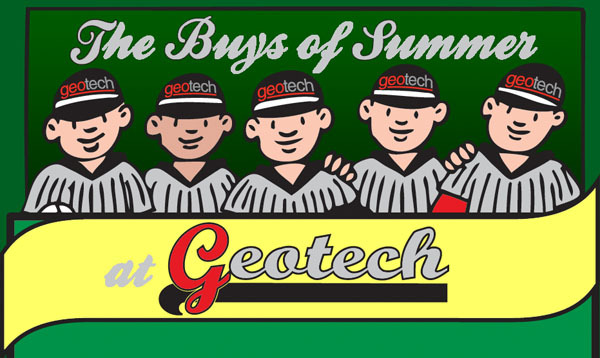 For our local customers, the Geotech North Carolina Sales and Service Center is conveniently located near Exit 12, on Interstate 440. For customers located outside of our immediate area, we typically ship by UPS or Federal Express Ground Service, which is one day delivery for most of our region. David Hathaway is the Office Manager for the center and Daniel Miller is the service technician. 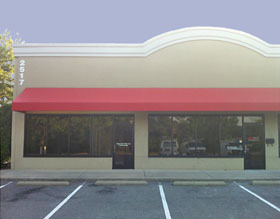 Now that we have a larger facility, we are interested in knowing what additional items our customers would like us to stock. Please call us at 1-800-293-5325, at your convenience, to let us know how we may better serve you. The Bioremediation and Sustainable Environmental Technologies Symposium has 10 courses and nearly 600 platform talks and poster presentations. Additional technical information will be provided by exhibits from an estimated 60 companies and government agencies engaged in remediation related activities. Escape to beautiful Marco Island for the one summer school experience you can't afford to miss. It's the perfect place to learn, network and earn those important CLE credits. 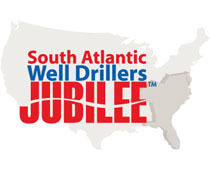 Now in its 56th year, the South Atlantic Jubilee is known for bringing the newest and best in groundwater technologies, products and specialized training to the drilling industry and its affiliated professions. Join us for SWANA's 49th Annual Solid Waste Exhibition. This year SWANA is once again bringing the best educational, networking and exhibiting opportunities for solid waste professionals to one location at the Gaylord Opryland Resort in Nashville, Tennessee. 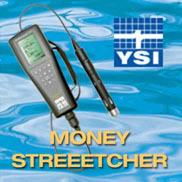 Prices and promotions mentioned in this newsletter are valid through June 30, 2011.